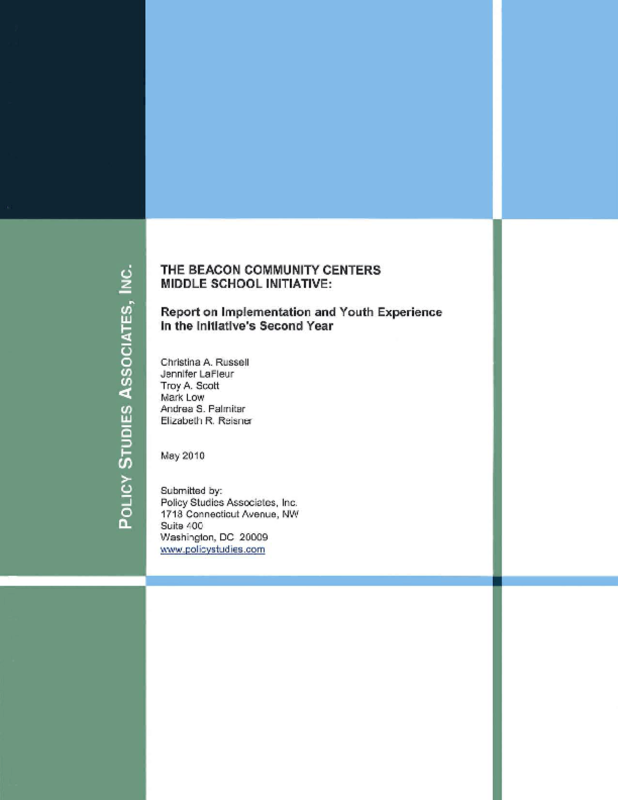 Evaluates the second year of an initiative to offer fifth-to-eighth graders structured out-of-school-time programs. Looks at implementation, such as engagement, staffing, and activities; youths' social and educational development; and underlying factors. Copyright 2010 Policy Studies Associates, Inc..